Hope you had some nice and fun Christmas days with your beloved ones. Today I came up with a nail post, a festive one, so I hope you enjoy it. 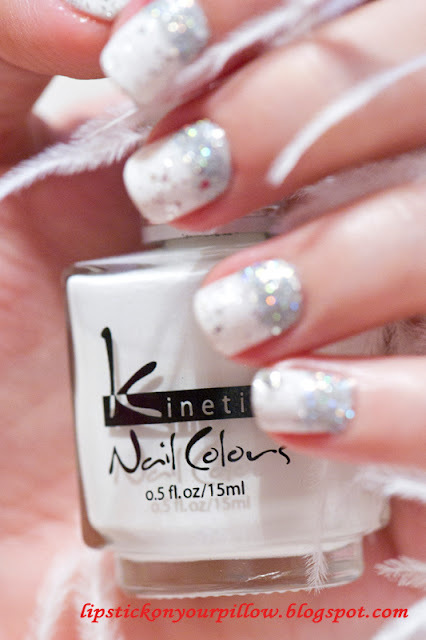 I used holographic glitter over Kinetics white nail polish. I also added some different sized silver glitter in order to imitate snowflakes. You can also glue small rhinestones for a more sparkly effect. 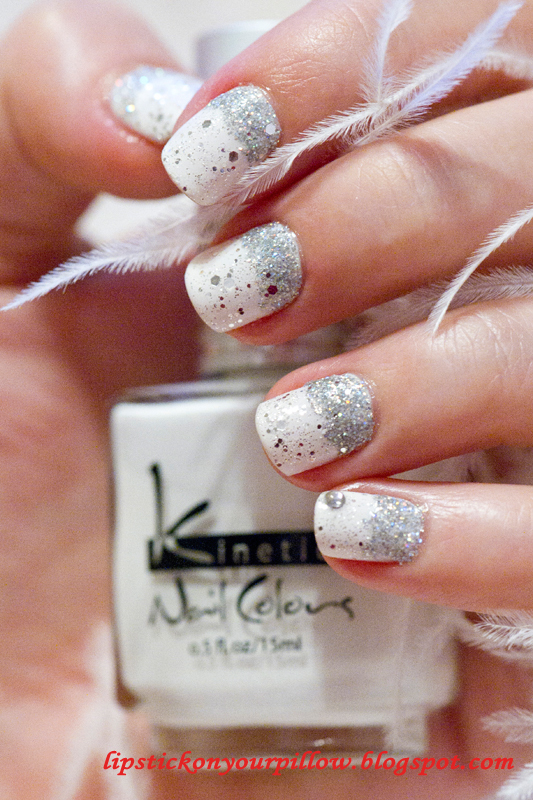 Don't forget to apply a clear nail polish coat over the glitter and the rhinestones. I took these pictures indoors, without flash. Hope you like this holiday nail decoration. 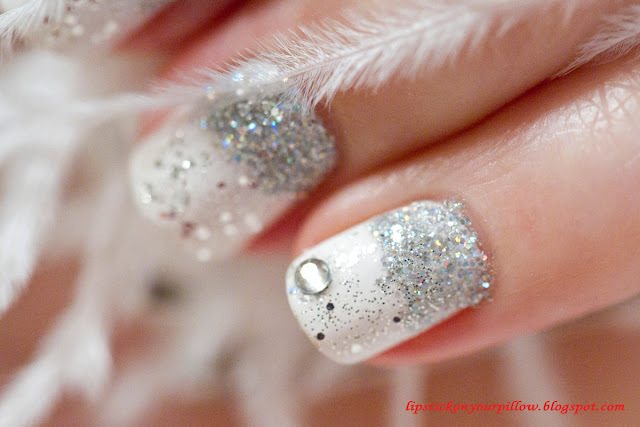 Those are so gorgeous, you look like a snow queen with them on!